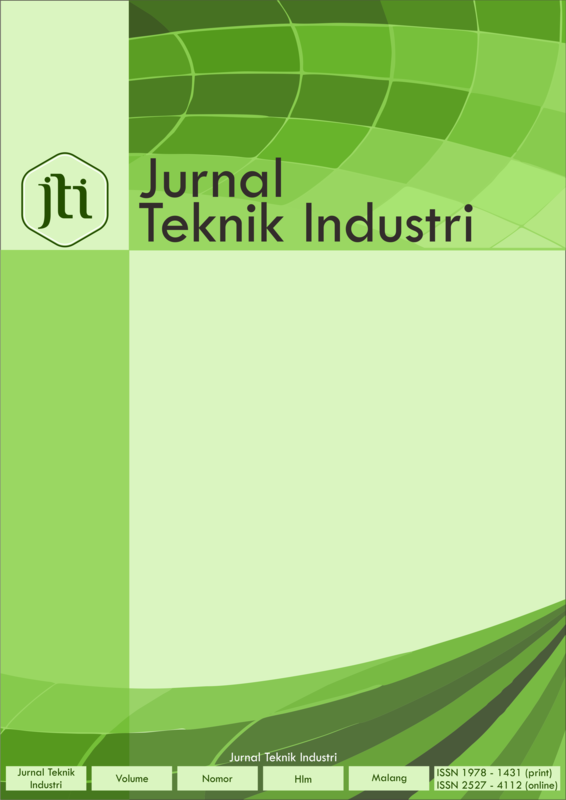 Start for Edition August 2019; The Jurnal Teknik Industri will be fully in English. We keep opening if the author has an Indonesian language paper. That paper must have a high degree of novelty. Please contact the managing editor. To improve article info, detail and tracking reference, start for March 2019, we have a new Template JTI. Total Citations in Google Scholar: 373, and h-index: 9, i10-index: 7. To improvement of the Quality Article, we determine several policy. You must use at least 30 references (every reference must have doi or url). All references use paper. 50 percent or more references are the latest paper (4 years ago). References are prioritized from international journal databases (sciencedirect, springer links, sage publications, emerald, taylor and francis, etc). Doi or url must be show in references. This journal has been accredited by National Journal Accreditation (ARJUNA) Managed by Ministry of Research, Technology, and Higher Education, Republic Indonesia with Second Grade (Peringkat 2, Sinta 2) since year 2018 according to the decree No. 34/E/KPT/2018.